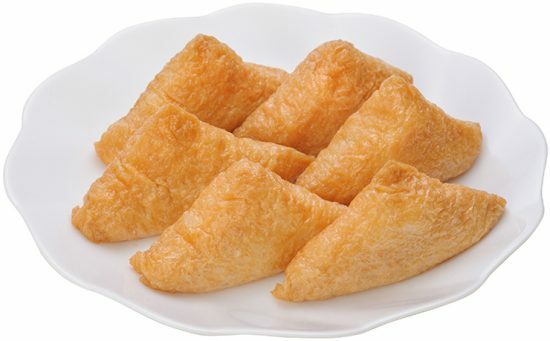 Produces well-executed Inari sushi, with soft sushi rice and air-blown opening in fried tofu wrapping. Reduces the effort needed to make adjustments by hand and increases production efficiency. Uses a double airblower method (patent pending). Blows air to firmly open up the fried tofu for filling all the way through. All-out effort made to improve ease-of-use and understandability by displaying illustrations with error messages and presets matched to the fried tofu easily operated on the LCD touchscreen (max of 12 patterns). Designed with cleaning needs in mind; can be cleaned in entirety once safety cover removed. Equipped with a tray for fried-tofu seasoning juice. 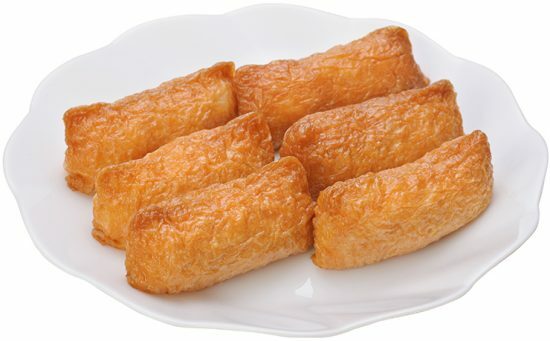 Produces softly textured Inari sushi with a production capacity of up to 2,500 pieces per hour. 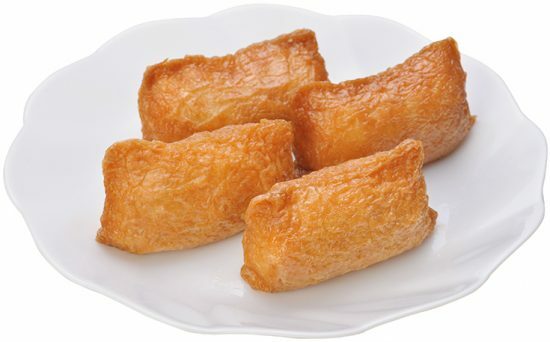 Equipped with a preparatory airblowing through pins into fried tofu for fried tofu (patented) using a mechanism developed by Suzumo. Also uses a system for airblowing the opening (patent pending) in the fried tofu. The airblower creates an opening all the way through the fried tofu so the sushi rice is stuffed all the through. Changing only one part allows for handling three different sizes of fried tofu. Number of removable parts has been greatly reduced. The simple construction is easy to disassemble and assemble; cleaning is also easy. 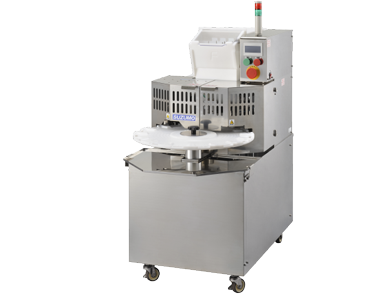 Cleaning efficiency has also been raised thanks to equipping machine with a fried tofu seasoning juice tray.